Be aware that if the property is listed, or is situated in a conservation area, there may be additional restrictions on the type of works that can take place. If you are unable to extend the house beyond its existing boundaries it may be possible to knock down an internal wall to create more space or partition a room to add a bathroom or study. 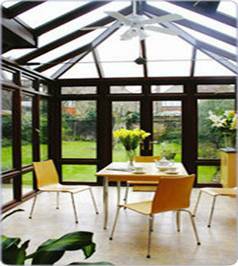 The most popular extension is a conservatory, but extended kitchens with a dining area run a very close second. En suite bathrooms are popular, as are home offices now that more and more people are able to work from home. Adding a loft room can seriously bump up the value of your property and building a garage with a room above it is a winner for properties in cities. Excavating a cellar is a clever way to add space to a home without encroaching on the garden or a neighbour’s view. Planning permission is not normally needed for minor internal alterations. The best place to check on the level of planning permission needed is the government planning portal website at planningportal.gov.uk. The site gives an overview of how the planning system works; giving you a good idea of how likely the work is to be approved. If you think that there is a good chance that your project will be given the green light, discuss it with the planning officer of your local council to see if permission is likely to be granted. It is worth noting that even if your neighbour has a loft conversion or some other type of extension that you desire, it doesn’t always follow that you will be given the go ahead. Planning regulations change over time, so it really is worth doing your homework to save time and money. If you are refused planning permission you have the right to appeal but it would be very ill advised to press ahead without it. You could be served with an “enforcement notice” forcing the demolition of the work that you’ve just had done. As if it isn’t already hard enough, you will also need building regulations approval as well as planning permission for any home conversion or extension. The rules that govern what needs to comply with building regulations can also be viewed at planningportal.gov.uk. Building regulations are essentially the application of health and safety to your home by making sure that any works do not affect the structural integrity of the building, are not a fire risk, are energy efficient and have adequate ventilation. The subject becomes slightly more complicated when choosing who to give your work building regulations approval. Your local authority will have a building control service that can send round an inspector, or you can do it privately with an approved inspector, such as a chartered surveyor. When employing a builder you need to reach a clear agreement on who is responsible for getting building regulations approval. Some builders are qualified to self-certify and others may do it as part of the service. On completion of the work you must obtain a completion certificate as failure to do so could cause problems if you decide to sell the house. The full criteria are listed on the government’s planning portal website, as are details of building regulations. These will not apply to conservatories unless the constructions are particularly large or not transparent. 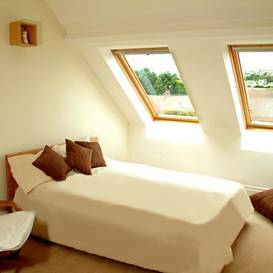 More than a million homes in the UK now have loft conversions with the market growing by an estimated 10% each year. Estate agent figures suggest that the average loft conversion costs around a third of the price of moving to a house with an extra room and can increase the value of your property by up to 25%. Not every loft can be turned into a living space and costs will vary greatly, so seek professional advice at an early stage. Planning permission may be needed (especially in a conservation area) and you must adhere to building regulations. Seeking permission from your neighbours is likely if there is a party wall; for more information on party walls go to rics.org/partywalls. This option normally comes into play if you have no room to extend upwards or outwards, giving an extra floor with little or no change in the external appearance of the house. Cellar conversions are popular for creating a fun or practical space, such as a home cinema, games room, utility room or storage area. The disadvantages of this sort of project is that it can turn out to be complex and can cost up to three times more than a loft conversion; especially when further excavation is required. Be sure to check with a planning officer before pressing ahead to check the practicality of the works and to make sure that all other options have been exhausted. • Terms of payment; will he be expected to be paid on completion or in stages? • What credentials does he have; i.e. is he a member of the Federation of Master Builders (FMB)? • Will he agree to independent arbitration if you end up in dispute? • Will he accept a penalty clause if the work is not completed in time? Good builders will be hard to get hold of because they will be busy so be prepared to wait. You can find professional builders and specialists in your area through the FMB at findabuilder.co.uk. FMB MaterBond members also meet TrustMark’s government-endorsed standards on workmanship and service, offering up to ten year guarantees on their work. Don’t pay cash in advance; reputable builders will be happy to take the money in stages and for you to keep 5% behind until the job is completed. Make sure your builder has a suitable waste strategy in place as this may save disputes with the neighbours later. It is also advisable to check on your building insurance to make sure that you’re covered as well as letting the mortgage company know about your plans.